The Geti Celtic Engraved 'Love of my Heart' Ring is made to be treasure. Made entirely from Titanium, this ring has the strongest durability yet is light in weight; perfect for comfort. What makes this ring even more special is the Celtic engraved message on the outside of the ring that reads 'Love of My Heart'. A perfect quote for the perfect wedding day. Crafted from titanium. 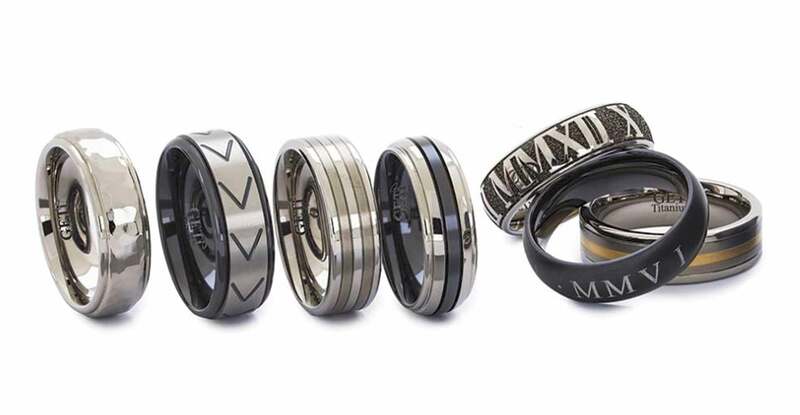 https://www.johngreed.com/geti-titanium-celtic-engraved-with-love-of-my-heart-4mm-ring 95264 Titanium Celtic Engraved with 'Love of my Heart' 4mm Ring https://www.johngreed.com/media/catalog/product/n/c/nc3868_0_v3_28.jpg 255 255 GBP InStock /Men/Men's Gifts/Recipients/Gifts for your Husband /Men/Men's Gifts/Recipients/Gifts for your Boyfriend /Men/Rings /Men/Brands/GETi /Men/Men's Gifts/Occasions/Valentine's Day Gifts /Men/Engraving /Men /Men/Men's Gifts /Men/Brands /Men/Men's Gifts/Occasions /Men/Men's Gifts/Recipients The Geti Celtic Engraved 'Love of my Heart' Ring is made to be treasure. Made entirely from Titanium, this ring has the strongest durability yet is light in weight; perfect for comfort. What makes this ring even more special is the Celtic engraved message on the outside of the ring that reads 'Love of My Heart'. A perfect quote for the perfect wedding day. Crafted from titanium.